Let’s be honest, Disney World is pretty insane. Where else is it socially acceptable -- encouraged, even -- for a fully grown adult to wear animal ears and eat their weight in junk food shaped like a cartoon character? But, even with supreme excellence comes room for improvement. 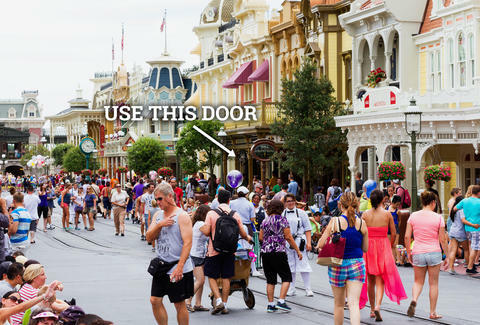 So, with that in mind, we’ve come up with 10 easy hacks to help you do Disney like a pro, and get even more out of your next trip to the House of Mouse. 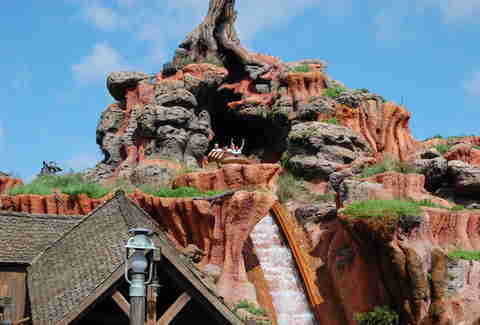 Want to be first in line for Big Thunder Mountain? 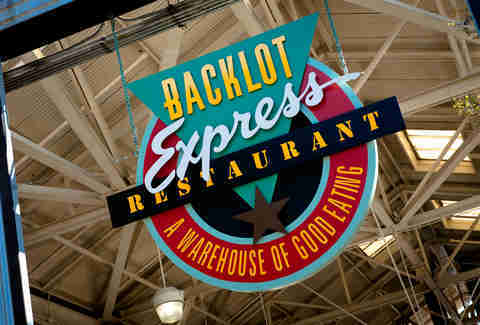 Make a breakfast dining reservation for a time BEFORE the park officially opens. If you get one early enough, and eat fast enough -- we recommend Magic Kingdom’s Crystal Palace buffet for speed and efficiency -- you can make it over to the rides right when they open. Another good play is breakfast at Hollywood Studios’ Hollywood & Vine before making a beeline for Rock ‘n’ Roller Coaster or Tower of Terror. If nothing else, it's super cool walking around an empty park like you're the king of Disney World. 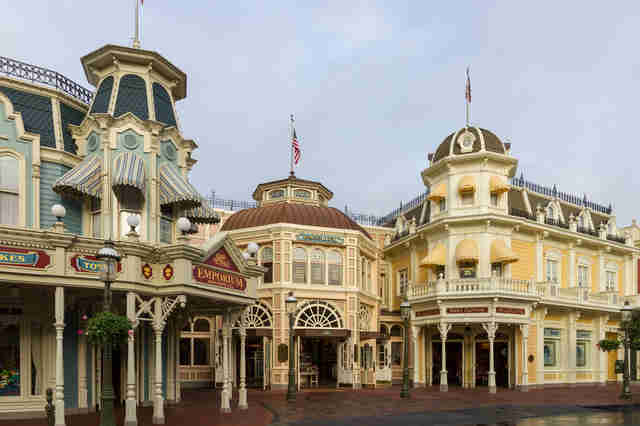 Fun fact: all of the shops on Main Street, USA are connected. So you can avoid the meandering crowds on Main St and hightail it to Space Mountain just by entering through one of the gift shops. This tactic also works in reverse if you want to beat everyone to the monorail. 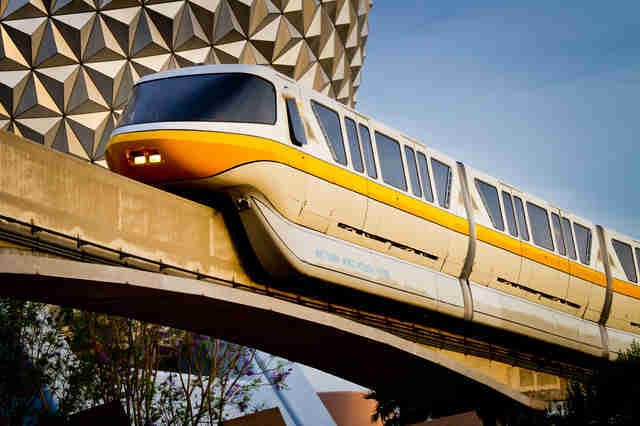 And speaking of monorails, there are two that service the Magic Kingdom: the express loop between the park and the parking lot, and the resort loop that also stops at each of the three hotels. Most guests assume that they can only get back to their cars via the express loop, and are therefore bound to wait in the seemingly endless sea of people streaming out of the park at closing. But, savvy guests know that the resort loop, with its significantly shorter line, is also fair game for getting the heck out of there. Want a group photo of you and your #squad without someone being left out? 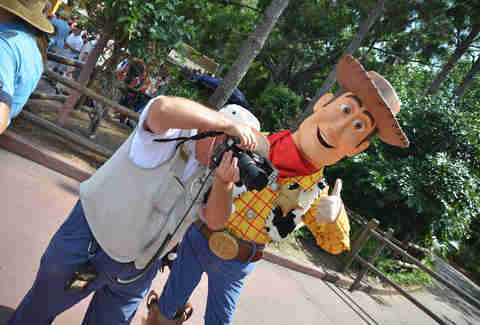 Get one taken by any of the Disney photographers stationed throughout the parks (in front of Cinderella Castle, Spaceship Earth, at certain character greetings, etc.). Yes, they are there to take photos you can buy (and you may even want to), but they’re also totally cool with snapping a few gratis shots with your personal phone or camera. You just have to ask nicely. 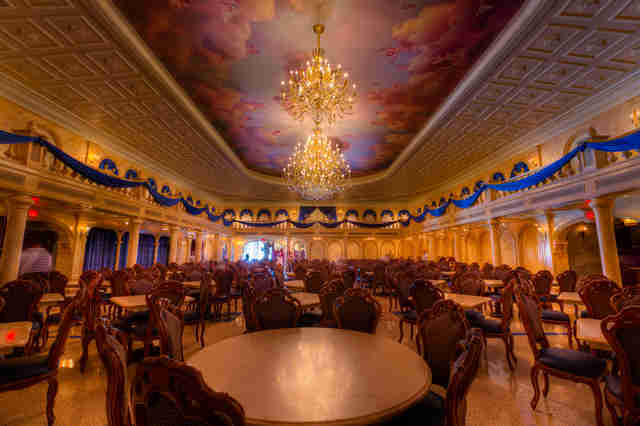 Couldn’t get a reservation at Be Our Guest or Cinderella’s Royal Table before your trip? Join the club. If there’s a particular spot you have your eye on, stalk that booking website like its your ex’s Facebook profile. Since Disney requires a credit card hold to make reservations, people are more likely to actually cancel if they aren’t going to use them. They have up to 24 hours before their reservation to do so, so the day before is a particularly good time to check. If you couldn’t get a FastPass for a popular ride like Splash Mountain, or, heck, if you’re just dedicated and want to ride again, cut your wait time by getting in line during a parade or the nightly fireworks. Since so many people will be busy watching the show, it means fewer folks in front of you. Don’t pay for bottled water when the Florida sun gets too hot; visit one of Disney’s counter-service (aka fast food) restaurants instead. They serve free cups of ice water. OK, so maybe you do want to watch the aforementioned fireworks and/or parades. Well, one of the best ways to do so is over a meal, since some of the most amazing views are from the restaurants. 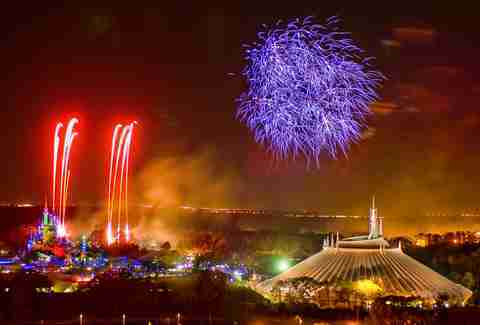 California Grill atop the Contemporary Resort has, hands down, the BEST view of the Magic Kingdom fireworks, while a table outside at Rose & Crown (if you can snag one) is the top spot to spy the Epcot show. 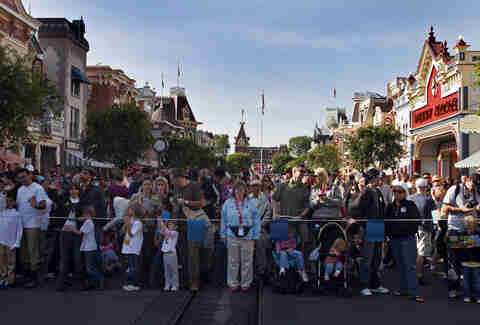 And for front-row seats to the Magic Kingdom parades, the patio of Tony’s Town Square Restaurant is your play. Sure, you could wait in line and go on Animal Kingdom’s Kilimanjaro Safaris ride like a commoner. But why do that when you can see the animals up close? 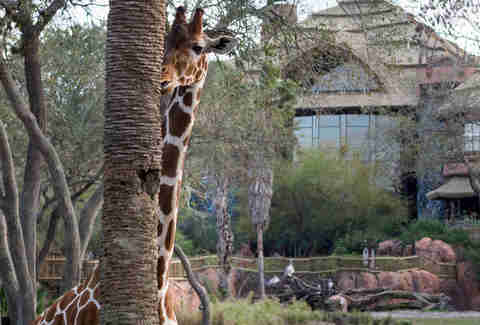 Simply stay at Animal Kingdom Lodge, and you’ll enjoy one of two daily guided safari experiences open only to hotel guests. Choose between the Night Safari (night vision goggles included, people!) and the Wanyama Safari, which concludes with dinner at the amazing Jiko restaurant. Kinda puts eating giant turkey legs in line to shame, right? Use a crowd calendar app to: a) plan your trip for the least-crowded times of year, b) visit the park that's the least crowded on a given day, and c) see which rides have the shortest lines. The official app from Disney is called My Disney Experience (iPhone and Android), but there’s also TouringPlans.com (some basic info for free, but $12.95 for an annual subscription -- a small price to pay for saving some of your sanity) and UndercoverTourist.com, which allows you to check dates on an online crowd calendar. Rebecca Dolan is a DC-based writer and wannabe Parisian, though you'll probably find her at Disney World -- she's been too many times to count. For pretty places and delicious eats, follow her on Twitter and Instagram.